For medicinal and recreational users of marijuana, April 20 is a day of celebration and a chance to raise awareness about the semi-legal drug. Bleacher Report used the day to feature several notable former NBA and NFL athletes sharing their stories of cannabis use before, during and after their careers. Three prominent former Denver athletes appear in the special. Former Nuggets star forward Kenyon Martin, former Broncos All-Pro offensive tackle Ryan Clady and former Titans and Bengals tight end and Mullen (Denver) High School standout Bo Scaife were members of the panels that joined B/R host Master Tesfatsion in a smoking session and roundtable discussion about their use. Clady, who was the Broncos’ top pick in the 2008 draft (No. 12 overall) says his consumption of cannabis began in college. Clady was a consensus All-American for the Boise State Broncos before going on to earn two first-team All-Pro designations with the professional Denver Broncos. 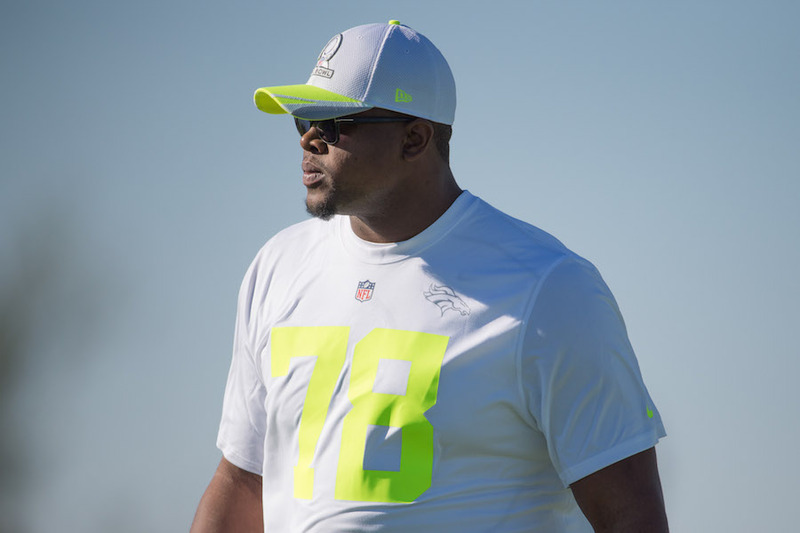 While some players on the panel spoke about the psychoactive reaction of the drug, putting them “in the zone” for games, Clady was quoted in the special – a slideshow of 50 panels – suggesting the benefits of the drug in helping him physically recover. “Every weekend is like a car wreck, and you start feeling better about Friday or Saturday,” Clady said. Martin echoed those sentiments, crediting marijuana for helping him recover from numerous injuries throughout his career. Martin even admitted to smoking before a game in Indiana, to self-medicate for a “hamstring, hip or something,” and then “went out there and had a great game.” He did not indicate whether that game was with the Nuggets or another of his four NBA teams. Martin played in Denver from 2004-2011, averaging 30.6 minutes per game over 371 games for the Nuggets. As he indicated in the special, Martin underwent microfracture surgery on each knee – his left in 2005 and his right in 2006. He returned to play 71 games in the 2007-08 season for Denver, helping the Nuggets to 50 wins. Both the NFL and NBA have said publicly that they will continue to monitor medical studies about the potential health benefits to marijuana. However, as state-by-state laws differ on its legality. Medical use, by doctor’s recommendation only, is legal in 46 U.S. states. Recreational use is legal only in Alaska, California, Colorado, Maine, Massachusetts, Nevada, Oregon, Washington state, and Washington DC (with Vermont to follow later this year). Click here to view the entire Bleacher Report 420 Slideshow.